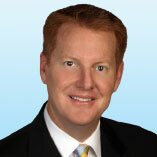 Scott Welsh has over 22 years of commercial real estate experience. In 1999, Scott became CEO after acquiring the ﬁrm from his father Dennis Welsh, who founded the company in 1971. Under Scott’s direction the Colliers | Wisconsin office has grown to be one of the largest full service real estate companies in the State of Wisconsin, offering comprehensive real estate services such as brokerage, property management, construction, development and facilities maintenance, as well as representing owners and clients alike. Scott specializes in servicing the needs of local and institutional property owners, coporate users and real estate investors.